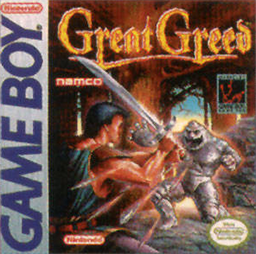 Great Greed is a role-playing game for the Game Boy. It was released as Bitamina Oukoku Monogatari in Japan. In the game, the player is transported from the “real world” to another world by a wizard named Microwave. In the fictional world of Green, the player-character is tasked with preventing Biohazard Harry from further polluting the world.